In general, I don’t love soup for dinner. I usually find myself wanting more and struggling with what to pair it with to make it a meal. 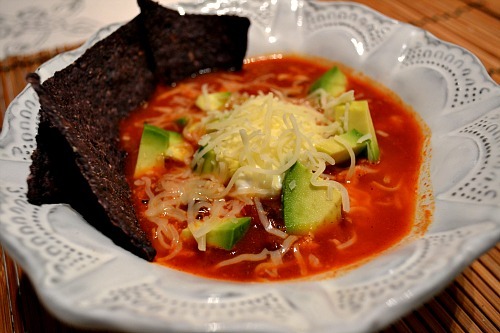 Don’t get me wrong though, I love heartier things like chili and chicken and dumplings so I was pleased to find that this Chicken Tortilla Soup was more similar to chili than soup. It was filling, comforting and relatively healthy! My favorite part about the soup was how easy it was to put together. I had to work late last night and didn’t get home until 8 p.m. I quickly diced, chopped, sauteed and dumped and the soup was cooking away in just 15 minutes. I let it simmer for about 20 minutes before serving it but this is flexible. You could easily leave this to simmer for longer if you want to develop the flavors even more. 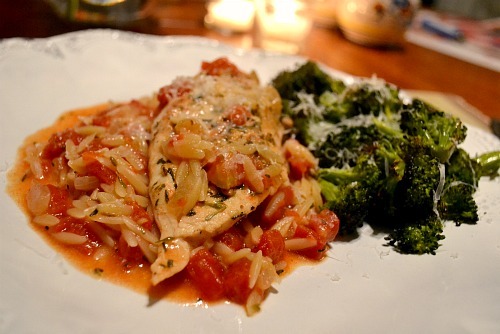 This recipe is a great use of leftover chicken and most of the ingredients are pantry friendly. It also freezes nicely and the leftovers taste even better! In a large pot or Dutch oven, heat olive oil over medium heat. Add onion and jalapeno and sautee for about 5 minutes until softened. Add garlic and green chilies and cook for another minute or two. Add chili powder and oregano and cook for another minute, stirring constantly. 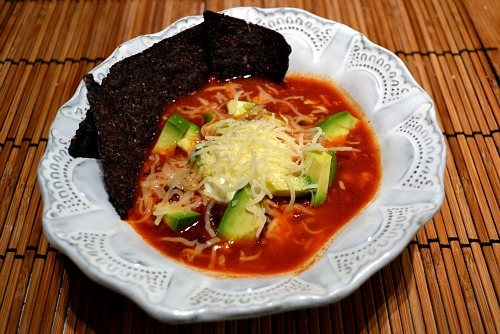 Add tomatoes, water, chicken stock, black beans, corn and chicken and bring to a simmer. Cover and let cook for 20 minutes, stirring frequently. Season with salt and pepper and serve with toppings. I was happy to arrive home yesterday and get back in the swing of our normal routine. I attend an incredible hot yoga class every Sunday afternoon at 4. It’s the perfect way to end my weekend and prepare my mind and body for the work week ahead. Since I was a little crunched on time given our afternoon arrival home and wanting to make my yoga class, I was looking for an easy meal. It is freezing here (seriously – lows in the teens, highs in the 30s – that is cold in the South!) and slow cooked meat sounded like the perfect dinner. Our grocery store had chuck roasts on sale so off I went to Epicurious to look for a Gourmet magazine pot roast recipe. 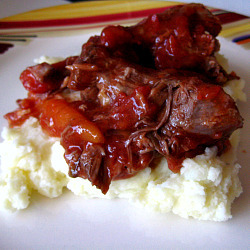 I found this recipe for Oven Braised Beef with Tomato Sauce and Garlic. It only had three ingredients and had received numerous positive reviews. Decision made. You don’t even brown the beef before placing it in the dutch oven! Can it get any easier than that? Off I went to the grocery to grab the ingredients. I threw everything in my dutch oven before I left for yoga and came home to an amazing smelling house! I was a little nervous because the recipe called for so much garlic but it really mellows out in the oven during the long, slow cook and adds a wonderful flavor. I admit that I added a couple carrots and some onion during the last hour of cooking but it totally wasn’t necessary! I just wanted more veggies. Brandon decided that this should be my “go-to” method for cooking roasts. I served last night’s roast over mashed potatoes with a salad and french bread. I’m making shredded beef enchiladas with the leftovers tomorrow night. If you’ve read the “About Jen” section of this site you know that my second love is fitness and nutrition. One of the questions I get all the time is, “How do you cook and bake all that food and stay fit?” Well…I’m going to start sharing that information with you on the blog. Don’t worry, I’m not changing the focus of this blog. It is definitely still first and foremost a food blog but I am going to talk about my nutrition and exercise for the day/week in my posts. If you’re not into it – simply scroll down for the recipe! In a nutshell, it’s all about maintaining a balance. I’m going to talk about that balance in my posts. I hope I can provide a little bit of motivation and inspiration that you can enjoy delicious food and stay fit! Let me know what you think in the comment selection below and if you have any questions! Eventually, I hope to add separate fitness and nutrition page to the blog but that’s later in 2010! Preheat oven to 300 degrees. Generously salt and pepper roast. Place roast in a large dutch oven. Pour tomatoes over the roast and then scatter around garlic cloves. Cover and bake for 3-4 hours, until roast is very tender and shreds easily. Break into chunks or shred and serve. *Note: if you’d like to add extra vegetables, add them when you have about 1 hour left in cooking. Tomato pie is probably one of my husband’s all-time favorite recipes. 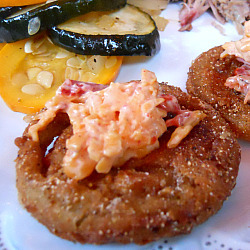 The recipe came from his church’s cookbook and it was one of his favorite dishes his mom made. Though I grew up in the South, I had never heard of tomato pie until I met Brandon. I was definitely willing to give it a shot – the combination of garden fresh tomatoes, cheddar cheese and basil baked in a pie crust sounded right up my alley. I made this for the first time when we were in college and didn’t quite perfect it on my first shot. But lots of practice over the years and my own modifications have made me a tomato pie pro. I only make this pie during the summer when we have access to local, homegrown tomatoes. The difference in taste between grocery store and garden tomatoes is huge and tomato pie is just not the same if you don’t have fresh tomatoes and basil. 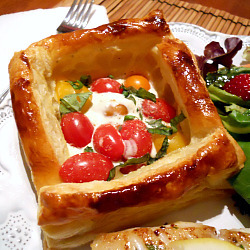 Serve this pie with a salad of mixed baby greens and you’ve got yourself a delicious summer dinner. Mix together cheeses, mayonnaise, garlic and salt and pepper in a bowl. Set aside. Line a 9-inch pie pan with one pie crust, trimming sides if necessary. Layer half of the sliced tomatoes in the bottom of the crust. Sprinkle with fresh basil. Spread (or dollop) half of the cheese mixture over tomatoes and basil. Repeat another layer of tomato, basil and cheese. Place second crust over the top of the pie and prick with a fork. Bake for about 40-50 minutes, or until crust is golden brown. 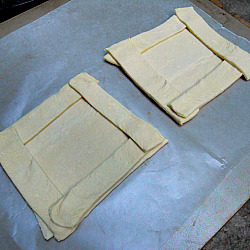 Check on crust after 20-30 minutes and cover edges of crust with foil if they are getting too brown.